Size: 39.0 x 25.6 inches. A fine Hydrographic Office chart no. 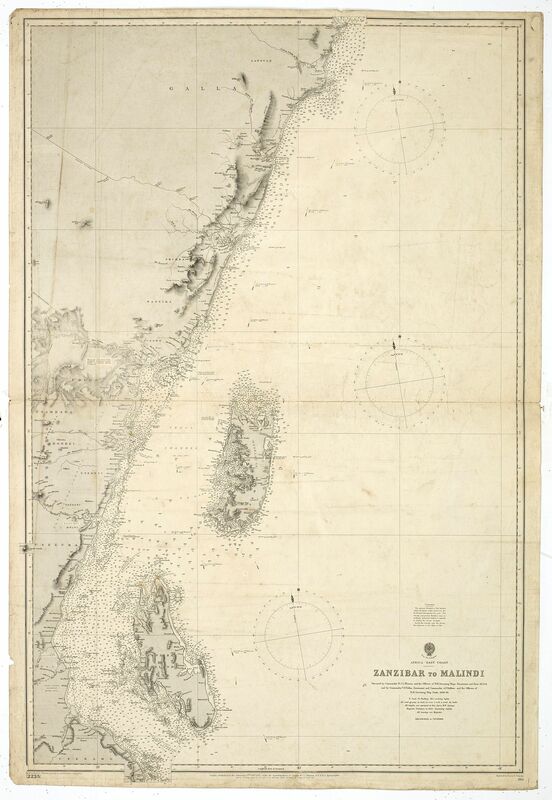 664 (2235), showing the coast from Zanzibar to Malindi with Zanzibar and Pemba Islands. Engraved by Davies & Company. London : Published at the Admiralty 25 th. Feb.y 1891 under the Superintendence of Captn. F. J. Evans, R.N. Hydrographer : Sold by J.D. Potter agent for the Admiralty charts, 31 Poultry & 11 King Street, Tower Hill".